The city inspector arrives to inspect one of the Boo Boxes. I don’t think he’s convinced of the structural integrity of the roof. 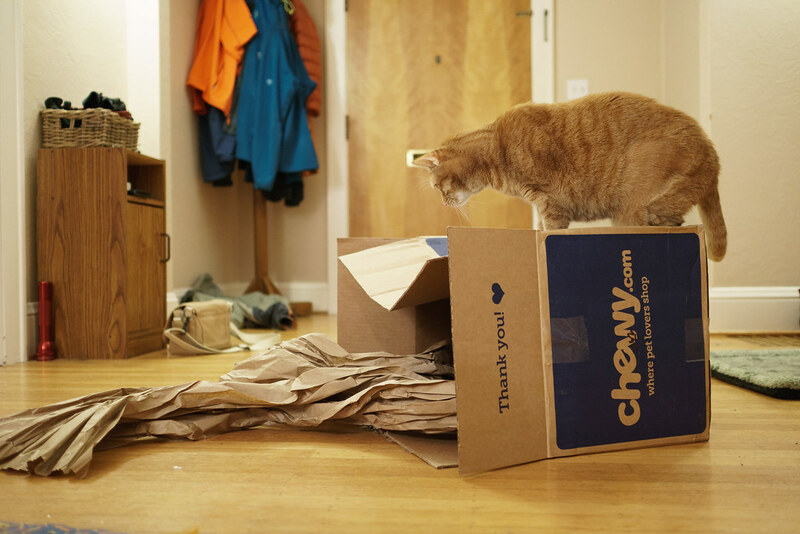 This entry was posted in Pets and tagged Boo Box, cardboard box, cat, orange tabby, Sam. Bookmark the permalink.